Today, was one of my favourite days of the school year, our annual day out courtesy of the charity, the Rotary Club. It is an initiative which pays for under privileged and special needs children to have a day out. It seems such a simple concept but for some of our children with complex needs, a trip to a busy, noisy and different environment is difficult. Fortunately on Kids Day Out, special needs children are in the majority at the park and there is an atmosphere of acceptance, tolerance and respect. 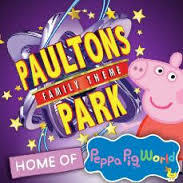 The Rotary Club organise different venues all over the country and our nearest is Paultons Park, aka Peppa Pig World. They always are amazing in making us feel welcome and there always seems staff everywhere to help the children enjoy the day out. Coupled with the Rotary volunteers they create a very special atmosphere. Sunglasses are essential on Kids Day Out to hide a few happy tears, it is one of those days which reinforces your faith in humanity and the kindness and care shown to the children is over whelming. Today has been no different to previous Days Out, the pleasure and happiness on our students’ faces is heart-warming. Some of our most challenging and anxious students have been enjoying the rides and we have seen smiles and giggles. It’s an exhausting day (2nd highest ever Fitbit step score) but its one of the most important and rewarding days of the year. Our staffroom was buzzing with excitement at the start of the day as we all met up, it means so much to us too. I cannot thank the Rotary Club enough for the pleasure they give to our students and staff in organising Kids Day Out. I’m not sure that they appreciate the amazing experiences they offer to our students, they are a stunning group of volunteers who make a powerful difference to our students’ lives. 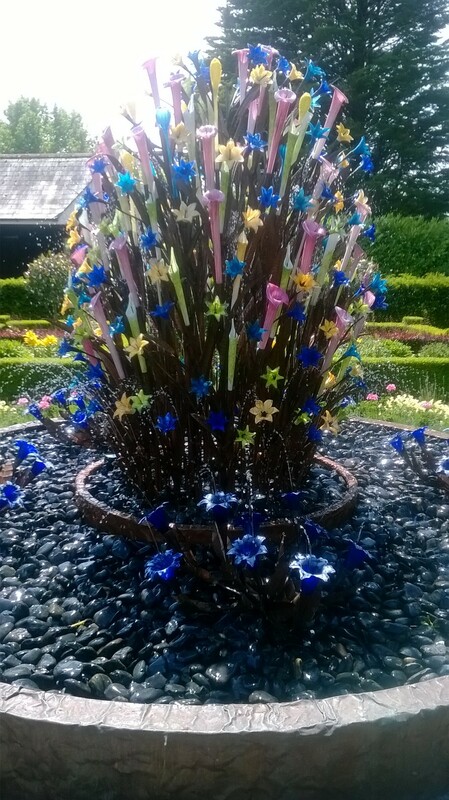 I love this picture of a glass fountain in the garden. Paultons Park is one of the most beautiful theme parks.